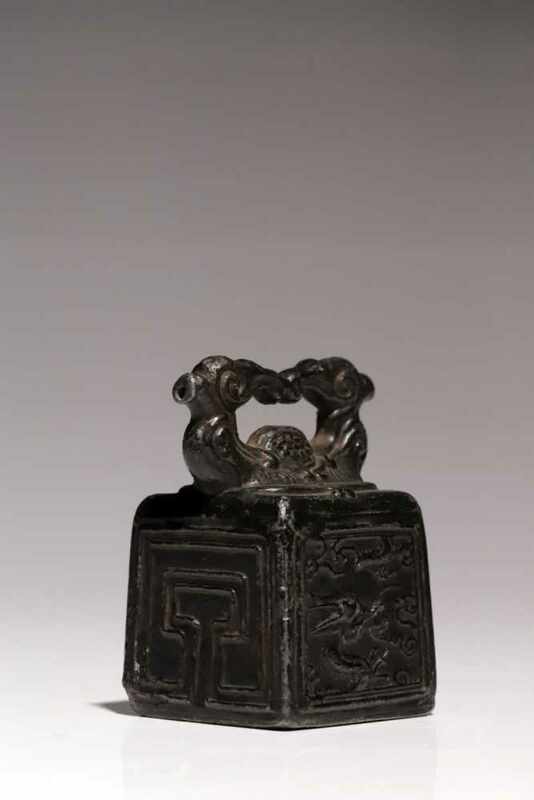 A Chinese seal stamp made of tin. 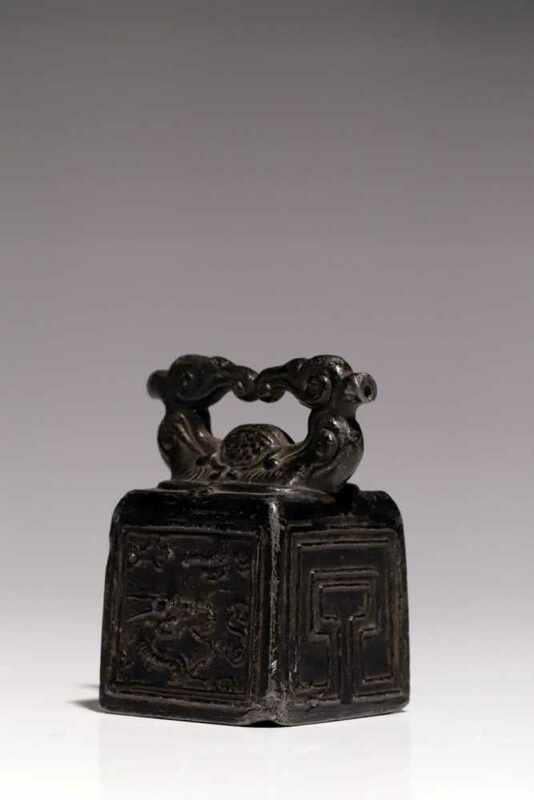 The sides are decorated with a geometrical pattern on two sides, the other two sides are decorated with a mythical Chinese dragon flying in the clouds. 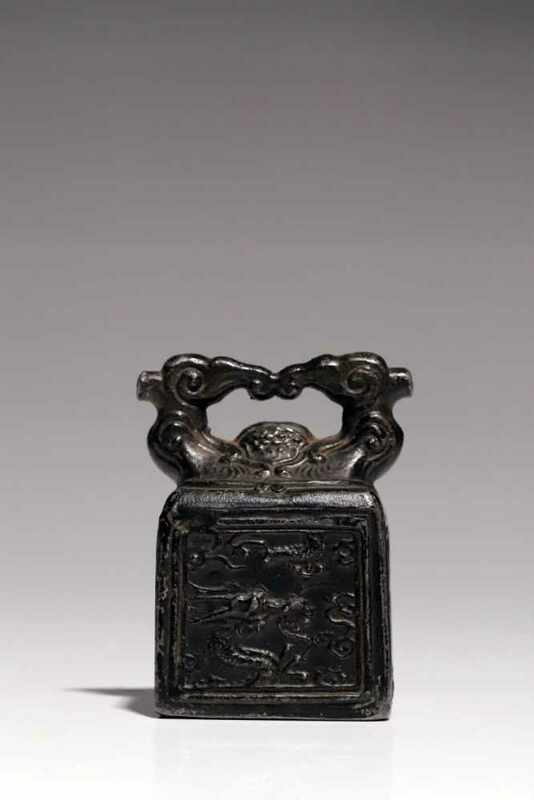 The handle is made of two birds with their tails touching. 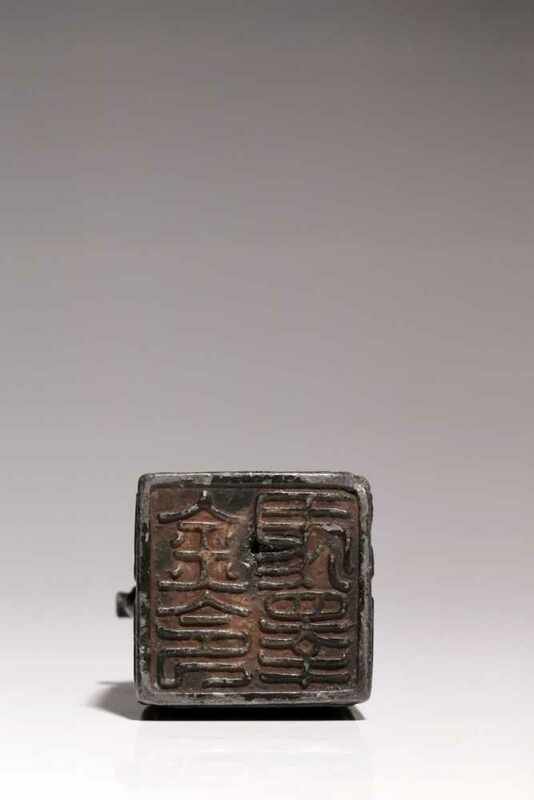 The seals stamp area features four Chinese characters. 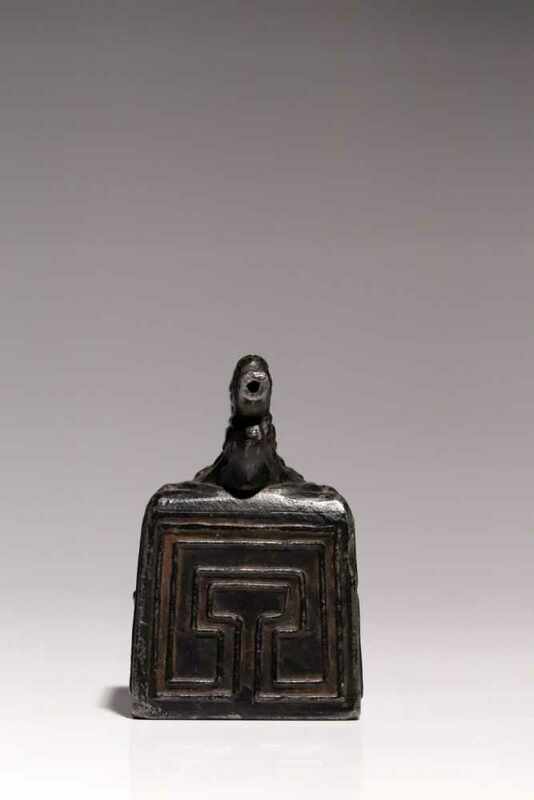 Lot 61 TurtleBronzeIndia18th ctH: 7,5 cmA littel tortoise-shaped Bronze figurine standing on three feet.